Here is the list of seven ways to use instagram in promoting your business. What’s the buzz with having an Instagram for your business? We’ve all heard of having social media accounts to promote your business, especially with Facebook and Twitter. But what’s the advantage over other competitors if you have an Instagram account? First of all, pictures can speak volumes and social media user nowadays are more into picture sharing. Instagram is a good way for you to talk about your products and services through pictures. But before you sign up to Instagram, better know these tips on how you can utilize Instagram to help promote your business. Instagram relies on images and how it engages users to connect with your business and services. If it’s a fashion brand, clothes and different fashion events are usually shown through pictures. If it’s a diner, the menu offerings are presented along with the customers who hang out at your diner. Know what your products and services are and always make sure to present good pictures that reflect your brand. This is a good way to not just show pictures, but also tell a story. Use behind-the-scene photos that speaks about how your products and services are done, events involving your business, and engage users to submit their photos of patronizing your brand. This can help increase brand recall through your Instagram pictures. Some brands utilize their Instagram sites to encourage their users to submit pictures along with a specific hashtag, which shows them using your products or patronizing your offered services. This user-generated hashtag can help other Instagram users to identify this hashtag with your brand. This can make your followers feel like they are a part of the brand and in return, you gain their loyalty in return. Imagine the rush you can feel when you see your Instagram hashtag in the search list along with really lovely pictures. One good way to help your business be known out there is to learn from other reputable institutions who use Instagram in attracting more customers and maintaining their regulars. The energy drink brand, Red Bull, now has a million followers on Instagram. Their pictures are high-quality, showcasing different kinds of extreme sports and other activities. Sometimes, the pictures are captioned with the hashtag #givesyouwings. The secret to the success of Red Bull on Instagram is probably due to the fact that the pictures reflect the energy and vitality related to the said brand, as shown through their images. Always make sure that your pictures reflect your brand and what it wants to portray among its patrons. Your pictures doesn’t have to end only on Instagram. Feel free to use other visual-rich websites for your purpose. Share your pictures on Facebook and Twitter, and at the same time, use visual-dominated sites like Tumblr and Pinterest to show your Instagram pictures. These are good ways for your business to hook in new patrons. Images are very powerful and when used wisely, can attract people who can benefit from what you have to offer. It’s important to sort out the pictures that goes to your Instagram site and those that don’t make the cut. This applies to user-submitted images, wherein you choose the best ones that show your products and services in a good light. And we’re not just talking about a clear image quality here. The fun side of Instagram is that you’re given a chance to play around with your images while selling what you have to offer. Feel free to use clean and fun photos that presents the humane side of your business company. You can even have a fuzzy cat to model for your company. Cuteness sells on the Internet. Hopefully, these tips will help you navigate Instagram and will ensure success for your business. Feel free to give more tips and user experiences in following brands on Instagram! Did you enjoy this post? Place your comment below. Don’t forget to share it on Facebook, and Twitter it will be useful to others like you. Looking for more updates like this? Join my newsletter. Do you know if Instagram has an image size limit? What size image do you find best to share on this platform? Instagram does have an image size limit, because you have to crop the picture first before you upload it on the said site. I think Facebook is the best platform to share images from Instagram, though I’ve seen some Instagram photos on Tumblr. You can connect your Facebook, Twitter, or Tumblr accounts to your Instagram. It’s really useful and needy article for me about Instagram. Previously, I didn’t know about promoting business through Instagra. In fact, I was not using it also. But, Finally after reading this post..Many of my doubts have been cleared. Now I must say, this post is fabulous for all Instagram beginner Users. Yes, I’m glad I was able to help you out. Have fun with Instagram! Thanks so much for this information. I have not yet used instagram, but it IS on my to do list. This has given me a better understanding to step into the instagram world to promote my business. This sure was a great golden nugget for me! 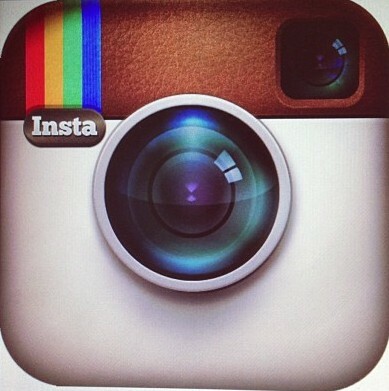 Instagram is really big social sharing platform with millions of users. I have seen that many big brands and celebrities are coming to instagram. Using it can be beneficial for your product and business. Amazing info. Yes, I totally agree with you. The best part is, there are some affordable smartphones out there that supports Instagram, so the app’s users are increasing. You’re welcome! I’m glad you learned something. Hi Lauren, I’ve been using Instagram for several years mostly for fun and this post really helps me to see how I can use it to promote my blog as well. It is great that you can share via Facebook and Tumblr. I also wish they would allow sharing to Pinterest too. I wonder which site gets more visits Instagram or Pinterest? This will give you an idea whether to use Instagram or Pinterest for your blogging purposes. With Pinterest, you can actually clip your article there. It depends on what kind of audience you have and your niche, which can help you in reaching out to your audience. Hey Lauren, This is a really great resource to make your self presence on Instagram. I never did a more work on Instagram and after reading this post I think to work on the Instagram. Yeah, you better give it a try! You finished a variety of awesome factors there. I did a look for on the problem determined nearly all individuals have the same viewpoint with your weblog.